Ruth W. Brinkley | The Leverage Network Inc. Ruth W. Brinkley – The Leverage Network Inc.
Ruth W. Brinkley is SVP, Operations, Catholic Health Initiatives and President/CEO of KentuckyOne Health. With almost 40 years of health care experience, Brinkley has worked in private, public, academic and community-based health systems. 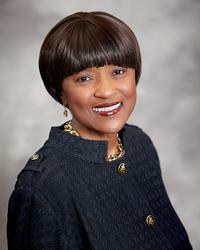 A registered nurse, Brinkley holds Bachelor and Master of Science degrees from DePaul University. She is a Fellow in the American College of Healthcare Executives; a member of the Advisory Board of the Kentucky Health Benefit Exchange; board member of De Paul University; and a member of the National Association of Health Services Executives and American College of Health Care Executives. Often recognized for her accomplishments, she has been frequently cited by industry analysts for leadership. She has been named by Becker’s Hospital Review as “A Female Health System Leader to Know”, one of the “10 Most Admired CEOs in Healthcare” in 2014, and recently received a 2015 Becker’s Hospital Review “Leadership Award”. In 2010, 2014 and 2016 she was recognized as one of Modern Healthcare Magazine’s “Top 25 Minority Executives in Healthcare”, and in 2015 she was cited as one of Modern Healthcare Magazine’s “Top 25 Women in Healthcare”.